Rio Salado College | RioNews: AZVETS Women Veterans Expos This Spring! AZVETS Women Veterans Expos This Spring! 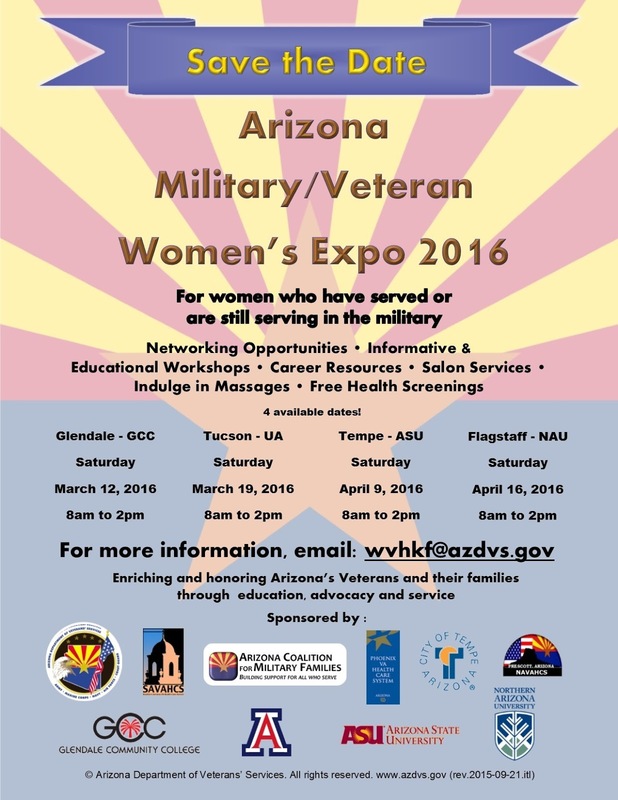 The Arizona Department of Veterans' Services Women Veterans Expo 2016 is for women who have served or are currently serving in the military. There will be four separate events across the state, March 12 and 19, as well as April 9 and 16.